Description: Merry Grinchmas to all! 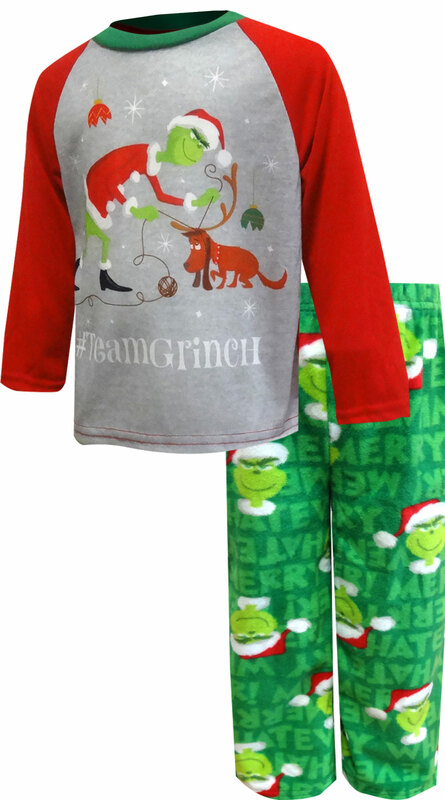 Perfect for the Dr. Seuss Fan, these ployester and fleece pajamas for toddler boys and girls feature everyone's favorite Dr. Seuss Christmas character, The Grinch and his sidekick, Max. These pajamas have a polyester top and fleece pants. 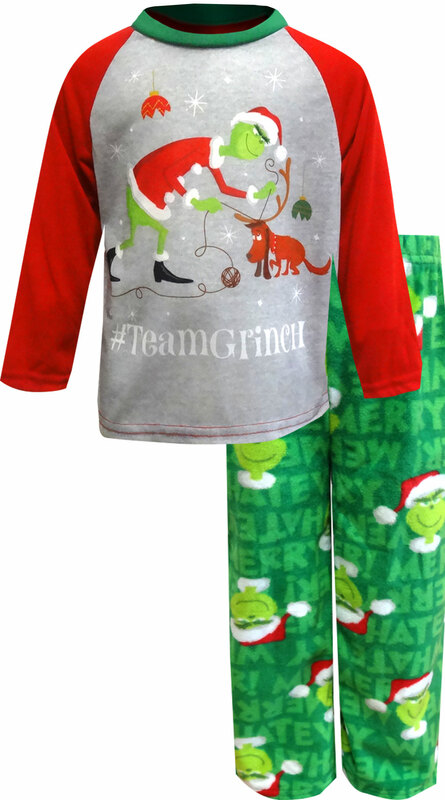 Go, #TeamGrinch!